The 29th Society of Polymer Science Japan (SPSJ) – Research Group on Polymer Gels Symposium was held at the Tokyo Institute of Technology on the 11th & 12th January. 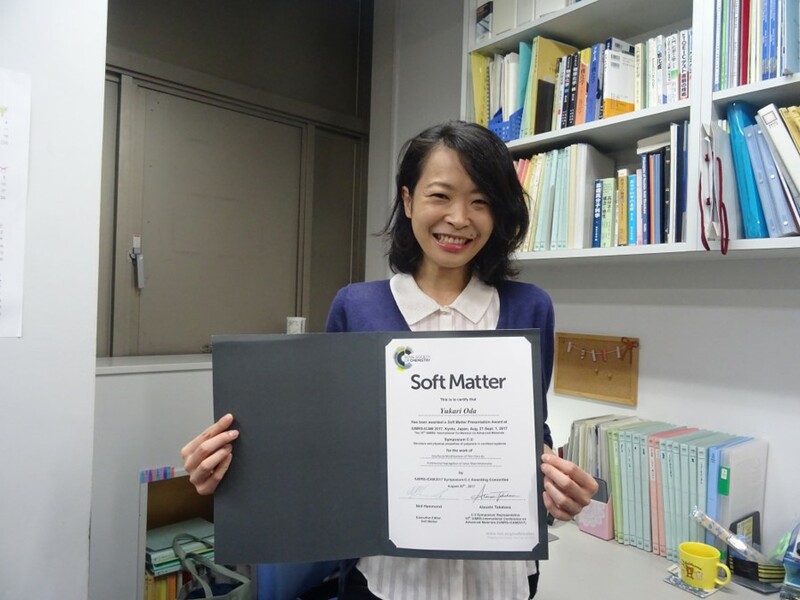 Soft Matter was proud to sponsor two awards at this symposium and both winners will receive one years free subscription to Soft Matter! 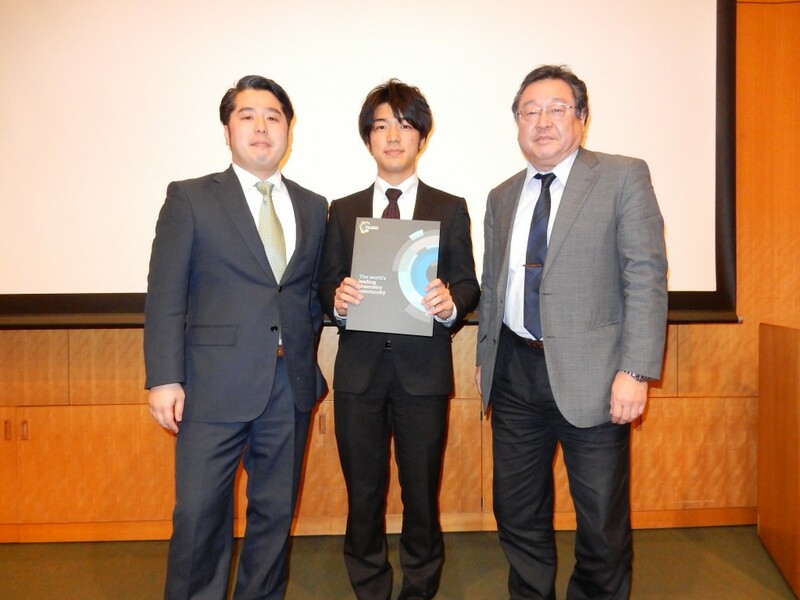 Takumi Watanabe (Shinshu University) won the Soft Matter Presentation Award for his presentation titled ‘Polystyrene-Composited Microgels Prepared in the Presence on Polyelectrolyte Microgels’. 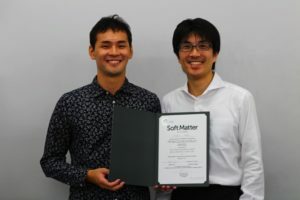 Takeshi Fujiyabu (The University of Tokyo) won the Soft Matter Poster Award, for his Poster Presentation titled ‘Comparison of Three Diffusion Coefficients Describing Dynamics of Polymer Gel’. 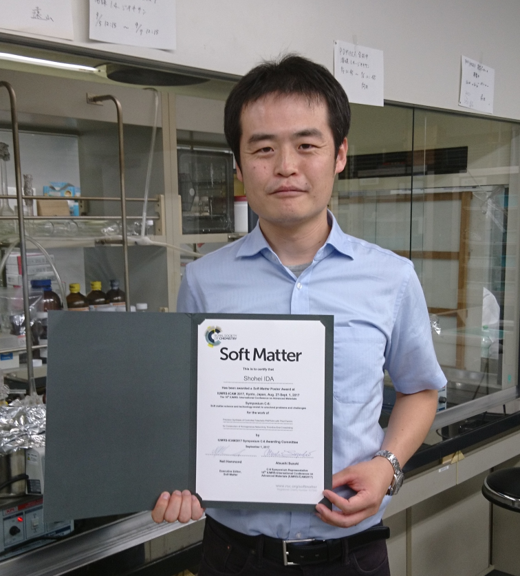 Soft Matter was proud to sponsor IUMRS-ICAM 2017, which took place this year in Kyoto, from the 27th August to the 1st of September. 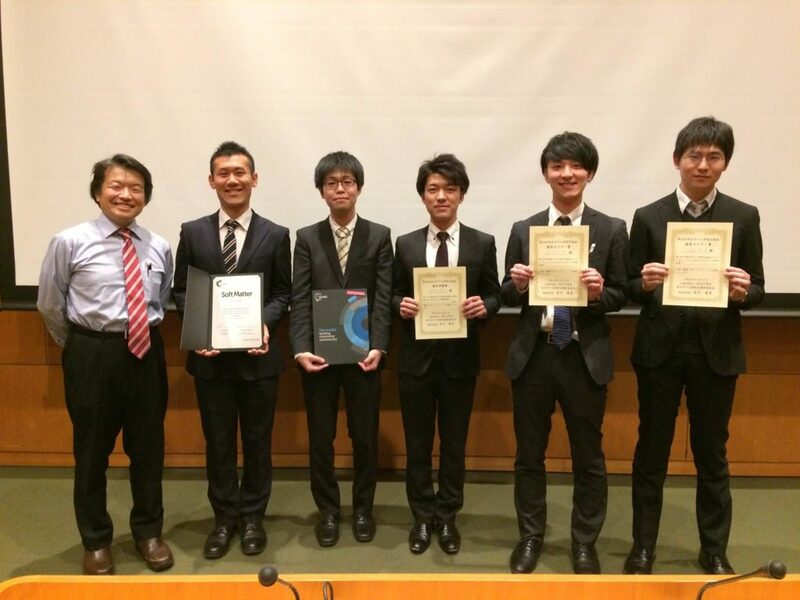 Over 1,200 oral presentations and 700 poster presentations were given across the 6-day conference. There were 7 Soft Matter Award Winners, across 3 different sessions, focusing on ‘Soft Active Interfaces’, ‘Structure and Physical Properties of Polymers in Confined Systems’, and ‘Soft Matter Science and Technology – Revisit to Unsolved Problems and Challenges’. Congratulations to all winners! We wish you the very best for the future. 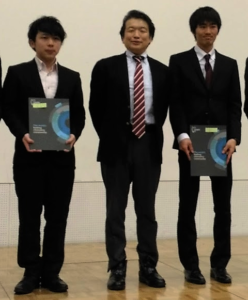 The 28th Symposium organized by the Research Group on Polymer Gels, The Society of Polymer Science, Japan was held on 16,17th January 2017, in Tokyo, Japan. 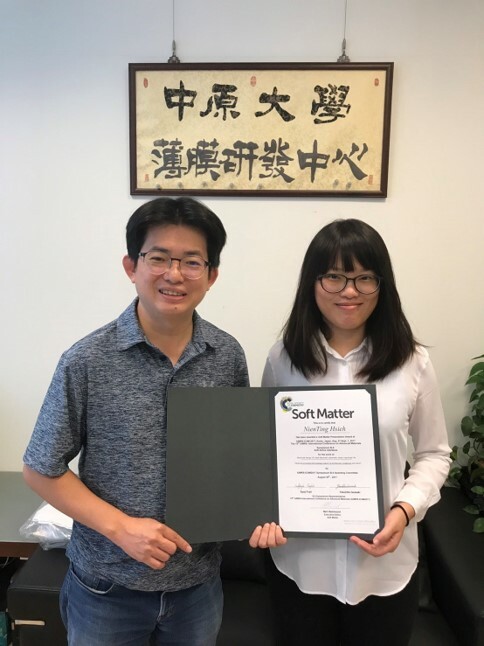 This is the third year in a row that Soft Matter supported this event, which has been continuously very well received. 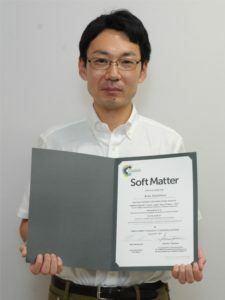 The winners of the price will receive a free subscription to Soft Matter. Congratulations to Yuto Jochi and Nobuyuki Watanabe who both won Soft Matter sponsored prizes at the 27th Symposium of the Research Group on Polymer Gels, The Society of Polymer Science, Japan held at Tokyo University on 18–19 January 2016. The Soft Matter Poster Award was won by Nobuyuki Watanabe (not pictured), who is based at Tokyo University of Science, for his poster Probe diffusion in Polymer Solution and Gels. 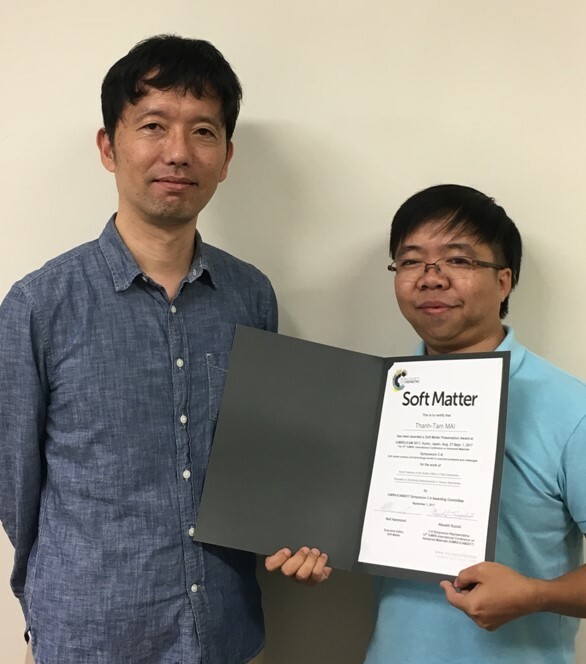 The Soft Matter Presentation Award was awarded to Yuto Jochi from Nagoya University for his presentation One-pot Synthesis of Poly(N-isopropylacrylamide) Gels with Homogeneous Polymer Network Structure. We thank Mr Watanabe and Mr Jochi for their excellent contributions and we look forward to hearing more about them in the future! 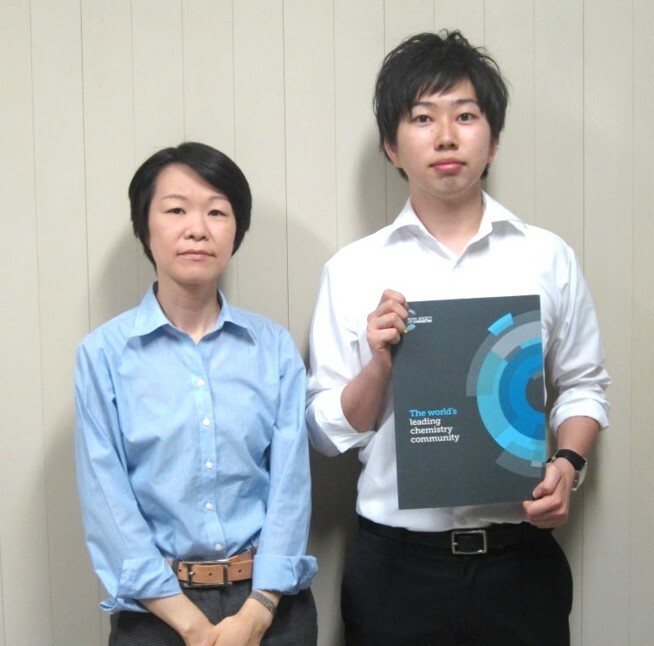 You are currently browsing the archives for the Oral Presentation Prize category.